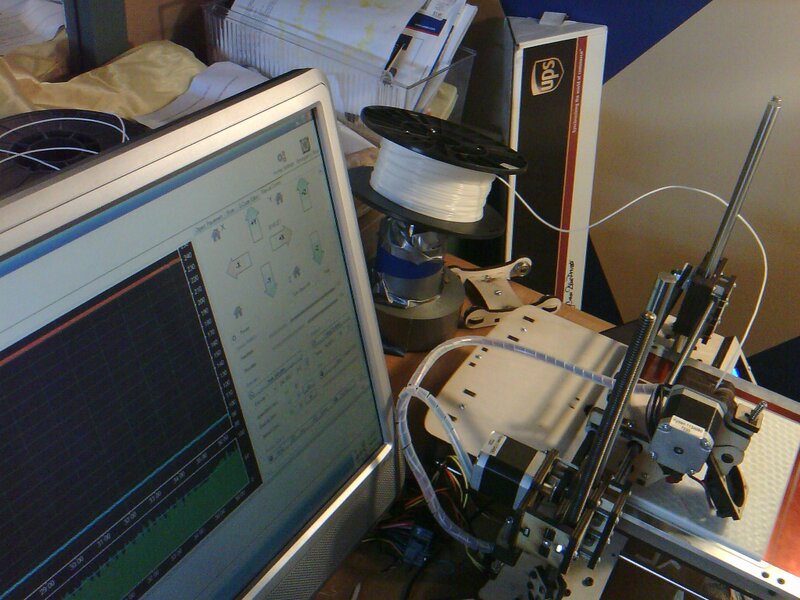 Being a new contestant to the 3D-Printing game can be rough; adjusting all of the printer parametres alone takes tonnes of time and still your prints fail afterwards (especially if you’re not on one of the top of the line MakerBots). Have your filament knot up. Have your spool not unwind easily|require too much force to unwind just sitting on the table or else fall over if you were to try to stand it on its end. Have to by an expensive spool coaster (kit) which would take more time than you have around to ship. 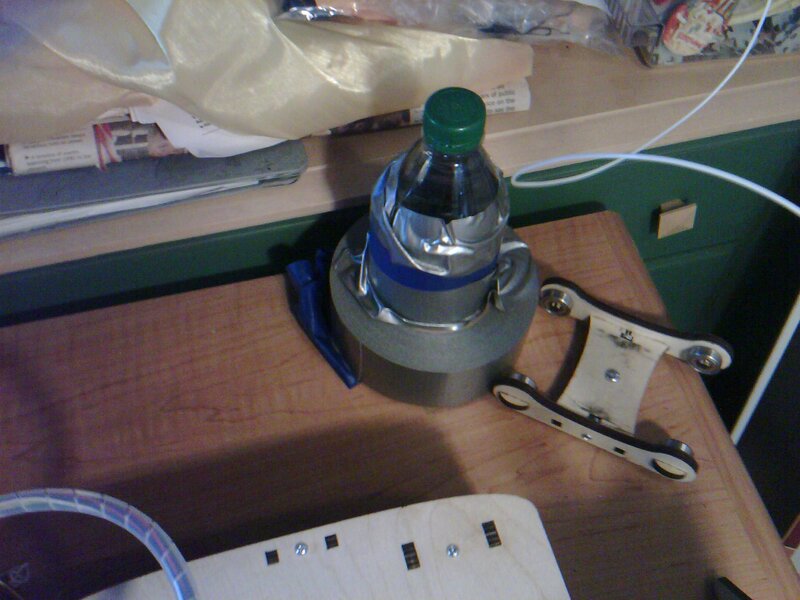 Then you need the NEW TOP OF THE LINE waterbottle ORBITAL SPOOL COASTER Yes, that’s right! ; for just the cost of a trip to the fridge and broomcloset, you too can cast all of your filament feeding frensies fabulously far away! Filament spool causing you tonnes of agony and wasting your precious dollari on extrusion material. Roll of DUCT TAPE @,@ -fairly full and second roll if you have another. Set the full and unopent waterbottle on a flat surface near the printer. Reel out and cut off about a foot of duct tape. Place the roll of duct tape over the bottle and let it fall to the base to act as a support. 3.1: If available, it is best to then place a second on top of the first for /extra support/. 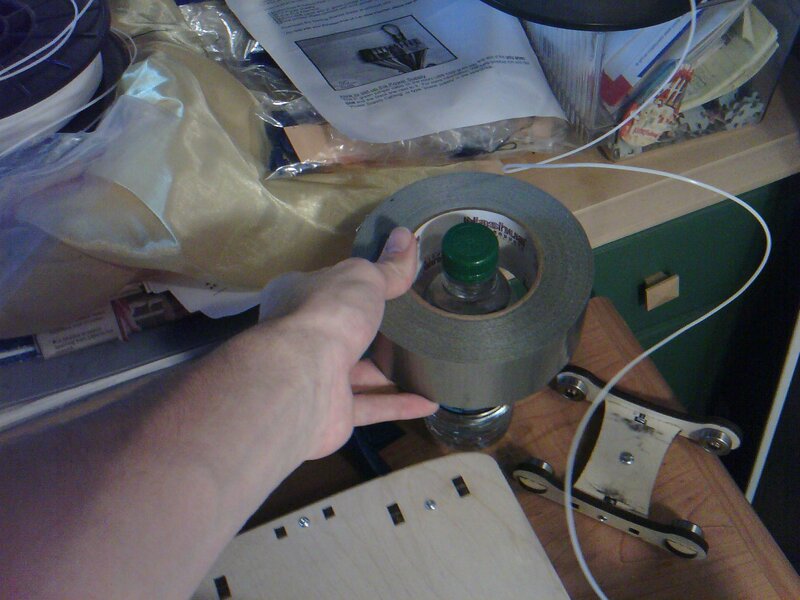 Use the foot’s-worth of duct tape from step 2 to secure the bottle into the tape rolls in whatever way you feel best; I’ve fount wrapping it around the circumference of the bottle works wonders. 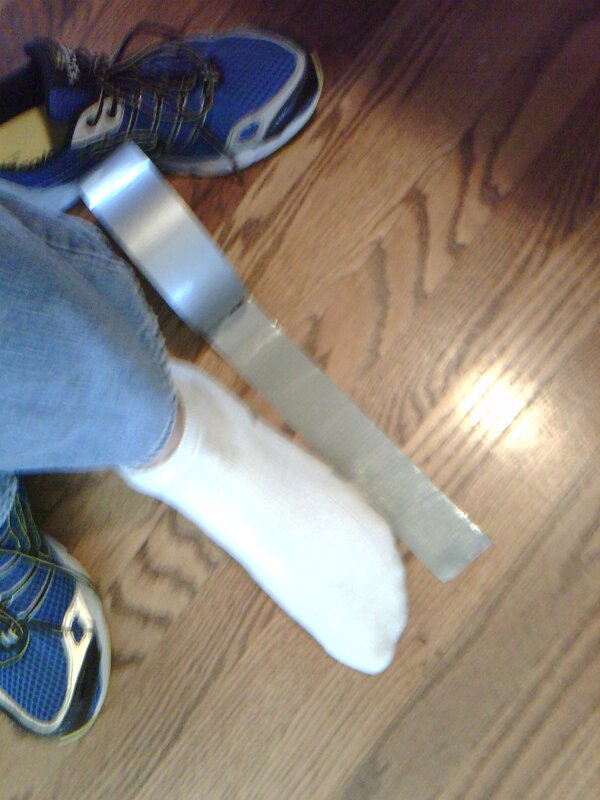 4.1: If you have any extra tape, tape /around/ (but not under the base) for EXTRA EXTRA support. 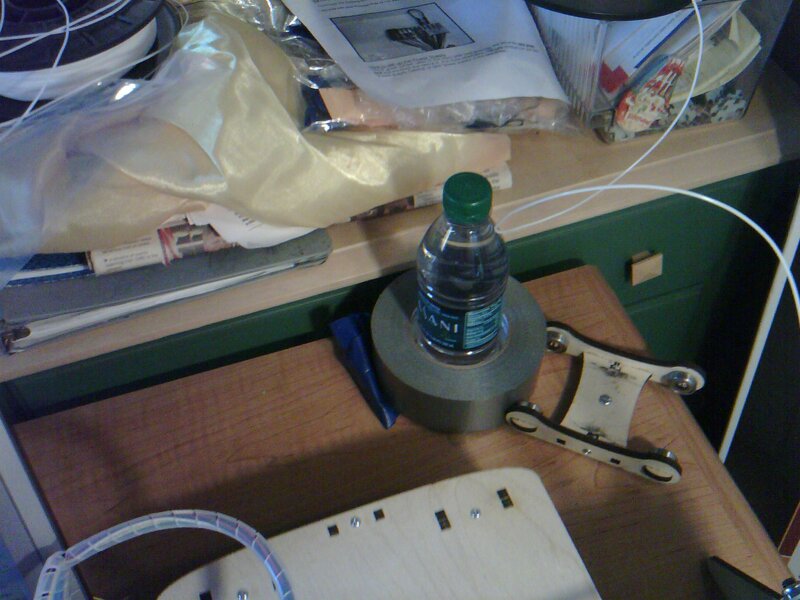 Place your spool on top of the waterbottle. Do a happy dance [INFOID No.1: http://youtu.be/OHeEX_flqr8?t=1m49s ] and enjoy attendance-less printing! Due to a bunch of wibbly-wobbly physics-y science-y-type-stuff -especially if you rolls of tape are not new-, you will need to drop the feed rate to the range of about 100mm/s as to avoid having the filament be yankt off the water bottle. 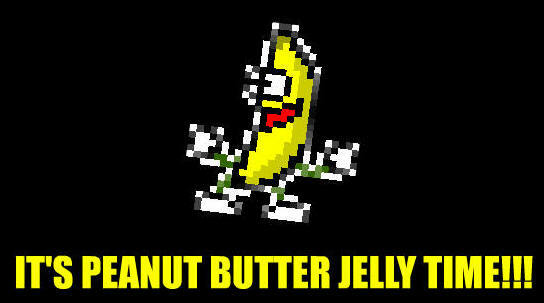 Other than that, you shouldst be good. Also, ’tis okay if the bottle leans over at an angle in the duct tape, the coaster should still work but this does indicate that you might want to readjust the placement of your coast such that it more properly aligns with the feeding direction of your filament.